Two-time Academy Award winner Mel Gibson has two different projects in the news today. Deadline reports that the star is confirmed to join Will Ferrell and Mark Wahlberg in Paramount Picture‘s Daddy’s Home sequel, while The Hollywood Reporter claims that Gibson is being courted to direct Warner Bros. Pictures‘ Suicide Squad sequel. Released in 2015, Daddy’s Home became one of Will Ferrell’s biggest global hits ever with over $240 million worldwide and $150 million domestic. Sean Anders and John Morris are returning to pen the script with Anders again directing. Also a part of the sequel’s cast is John Lithgow. He and Gibson will play the respective fathers of Ferrell and Wahlberg’s characters. Linda Cardellini, Scarlett Estevez and Owen Vaccaro will also return. Plans for Gibson to helm the Suicide Squad sequel, meanwhile are far from done deal, but check back for updates as they become available. 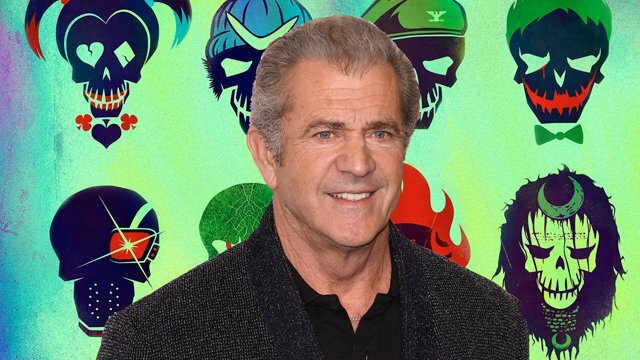 What would you think of Mel Gibson potentially directing the Suicide Squad sequel? Let us know your thoughts in the comments below.